This past week was one of those weeks. I got to travel through Germany together with Mr. Bruce Momjian himself. Bruce is the one of the most established and senior community leaders for Postgres. Bruce is also my colleague and I would like to think I may consider him my friend. My employer, EnterpriseDB, gives us the opportunity to do this. To be an integral part of the PostgreSQL community, contribute, help expand the fame of Postgres, no strings attached. Support the success of the 30 to 40,000 engineers creating this most advanced open source RDBMS. The week started with travel, and I got to Frankfurt. Frankfurt will be the proving ground for the idea of a pop-up meet-up. Not an EDB-marketing event or somewhere where we sell EnterpriseDB services, but allow anyone just to discuss PostgreSQL. We will be in a city, in a public place, answering questions, discussion things or just relax with some coffee. Purpose is to show what the PostgreSQL community is all about, to anyone interested! In the afternoon we took the Train to Munich, which was a quick and smooth experience. Munich would be the staging ground for a breakfast meeting, or a lunch… or just say hi. After the meet-up we headed to Berlin training towards the final two events of this week. We spent Thursday teaching the EDB Postgres Bootcamp, having a lot of fun and absolutely not sticking to the program. With Bruce here, and very interesting questions from the participants, we were able to talk about the past and the future of Postgres and all the awesome stuff that is just around the corner. pgconf.de ended up being a superb event with a record breaking number of visitors and lost of interesting conversations. You will find loads of impressions here! 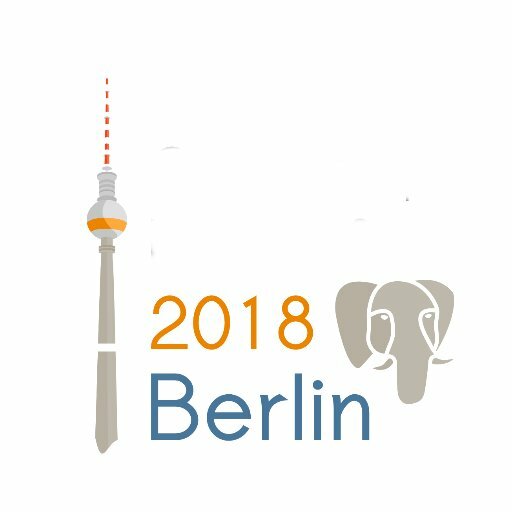 I am already looking forward to the next Postgres events I get to attend… pgconf.de 2019 will in any case happen on the 10th of May in Leipzig. It would be super cool to see you there, please submit your abstracts using the information from this page! Thom on Open Source? We have been here before… right! Johnnyq72 on Riga Dev Days 2017, new experiences in many ways. Peter on Riga Dev Days 2017, new experiences in many ways.